Unfortunately, your order was not successful. You may wish to use another credit card. 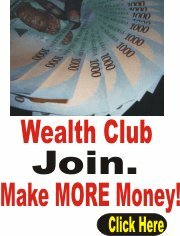 < td> How To Earn One Million Naira Per Month - The Secret To Financial Freedom Revealed! < td> How To Build A One Billion Naira Business With Small Capital - The Secrets of The Rich Exposed! NOTE: The books listed above are available as downloadable ebooks and hard copy books.